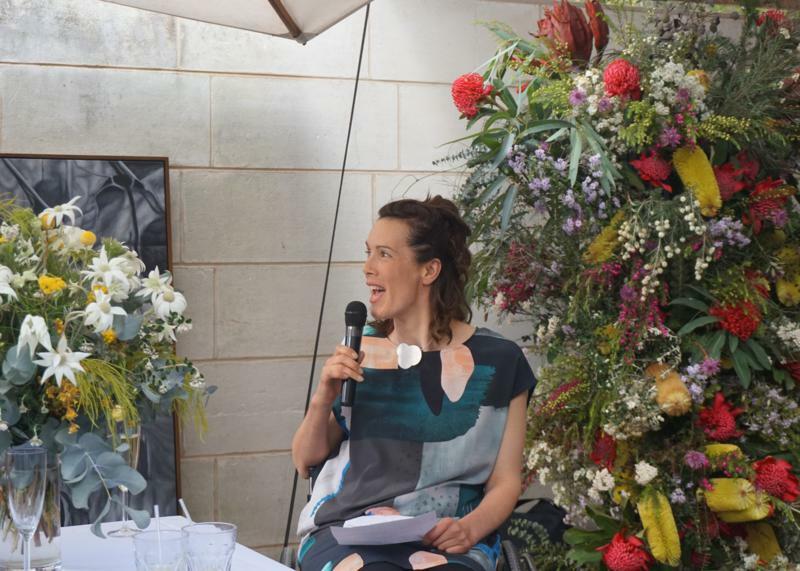 Attending the launch of Kate Herd and Jela Ivankovic-Waters’ book, Native, it was intriguing to see the mix of artists, designers, landscape professionals, a scientist, photographers, growers and horticulturalists both attending and represented in this book. 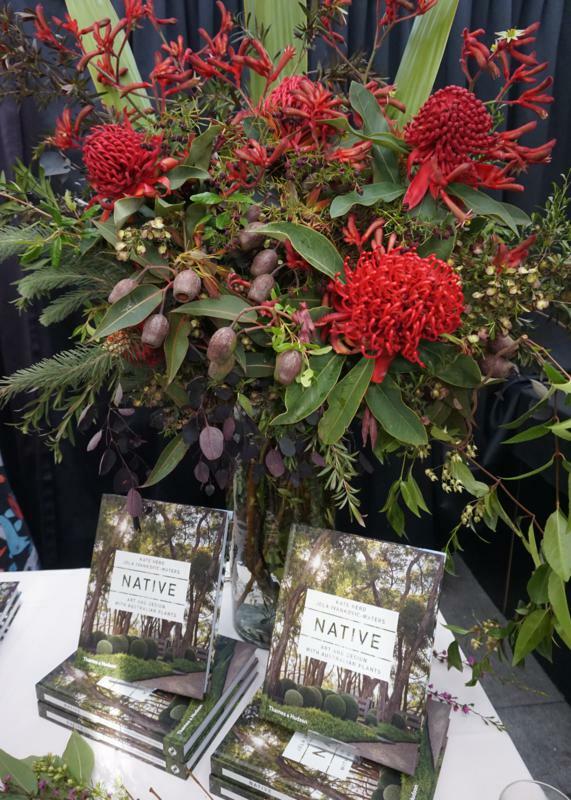 Copies of Native: Art and Design with Australian Plants under Kate Herd’s flowers. 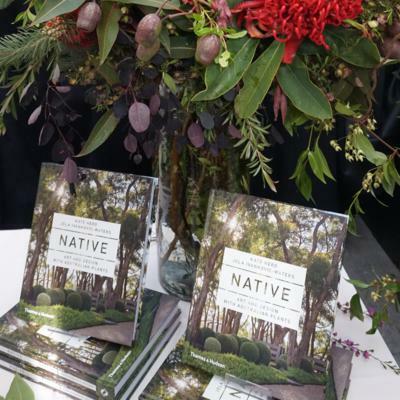 Native is a beautifully designed and thoughtfully set out guide to design with Australian plants. 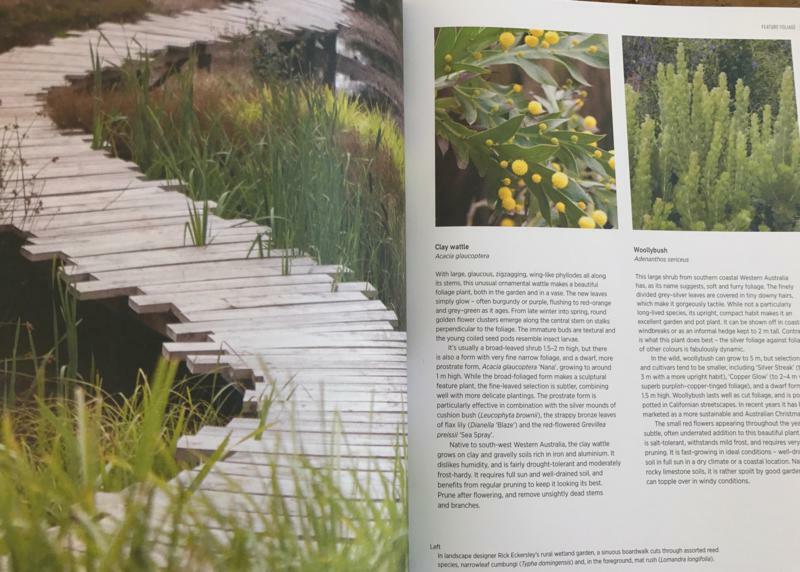 It is a horticultural reference source, yet it is also a design guide, showing the use of native plants in settings less familiar, expanding the genre of native garden from dusty bush gardens, to highly cultivated and organised design settings. Beyond gardens, it also demonstrates the extraordinary breadth and beauty of our native foliage and flowers through many forms of design across a number of mediums. Pages from Native showing the layout of text and thoughtfully captioned images. Chapter headings define roles and usage of native plants in various broad topic areas: Feature Foliage, Pliability, Legacy Trees, Shapely Low Cover, Rare Beauties and so forth. 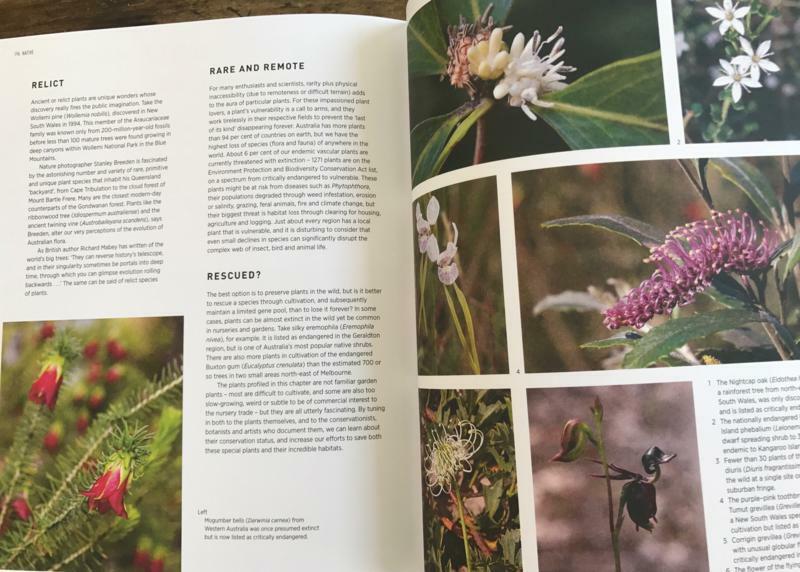 Each chapter outlines the usefulness of a palette of native plants and how they can be selected and placed into a garden setting to best effect. 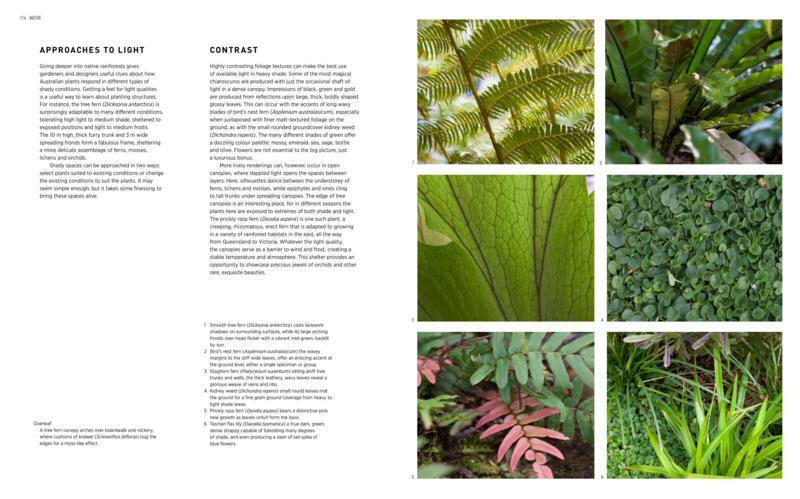 The Shady Spaces chapter addresses approaches to light and foliage contrast. Cultural notes for the key species featured are wonderfully practical, describing growth habit; role; adaptability to horticultural and designed settings; maintenance tips; and tolerances for soil, aspect, water and exposure. So, while the aesthetics of each plant are important, this guide also demonstrates the plant’s contribution to a broader ecology, a response to climate and of course, its performance in a garden setting. Artist Janet Laurence is teamed with the ‘Shady Spaces’ chapter. Every chapter is paired with a personality – some well known and some quieter achievers. Scientist and plant breeders bringing Australian plants to a broader audience and developing new, more horticulturally useful cultivars. 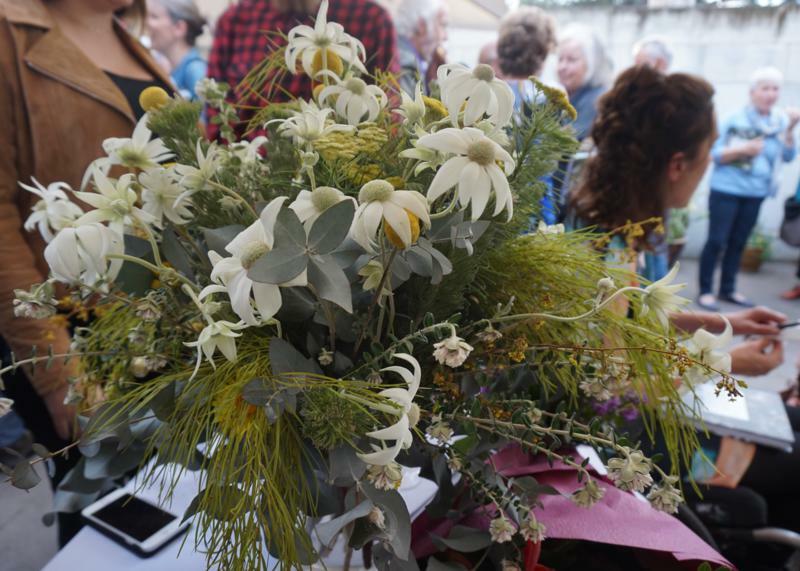 Sculptors, jewellers and artists using Australian plant material as inspiration and palette. While landscape designers and architects are well represented by Jo O’Connell, Kate Cullity, Paul Thompson, Fiona Brockhoff, Sue Barnsley and Catherin Bull. 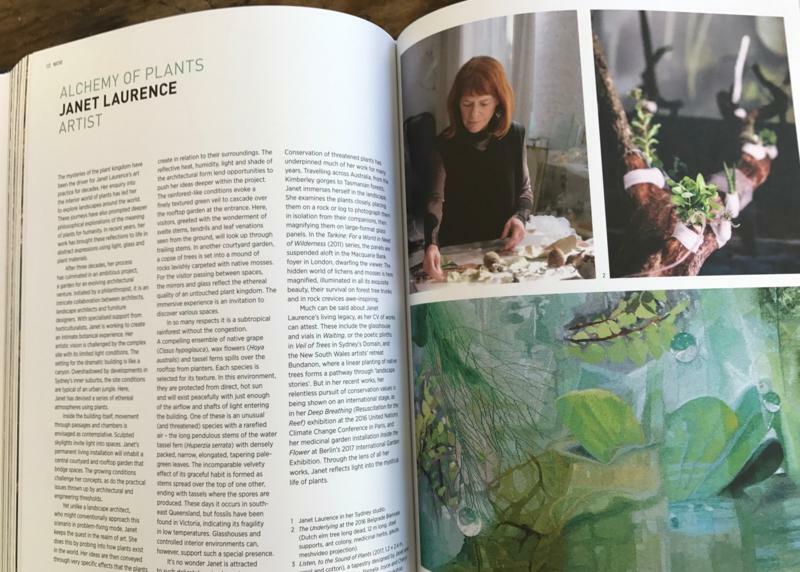 The overwhelming sense of the book is as a horticultural and garden design reference, and there is a wonderful cross pollination (excuse the pun) of influences, both scientific and artistic, across this compelling guide. 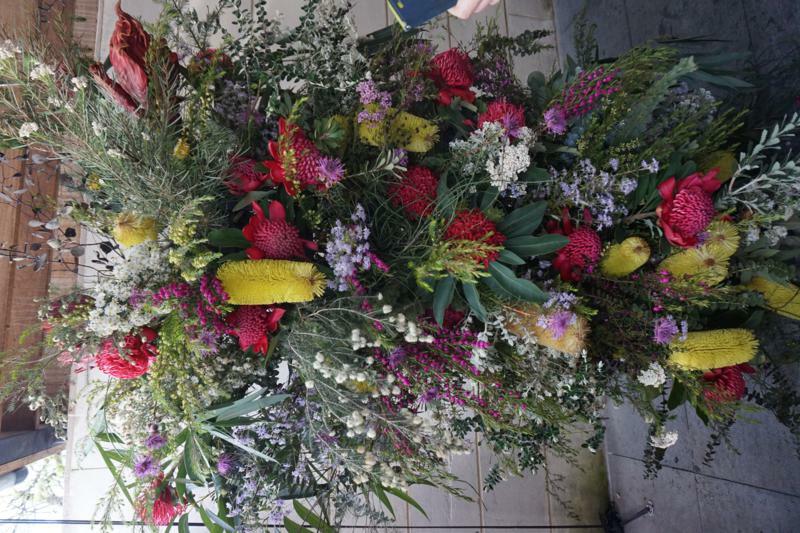 Hot coloured native flowers at the launch of Native. At the launch held at Melbourne’s iconic Heide Museum of Modern Art this month, Professor Tim Entwisle gave the opening speech describing gardening as a “grand experiment”, taking plants outside of their native habitat and adapting them to our needs. He spoke of gardening being a “creative, experimental, fascinating thing to do”, and you can closely align this philosophy with the work of many of the artists featured here. He launched the book stating, it “will inspire and provide huge nourishment”. Native is a horticultural and garden design resource. Jela Ivankovic-Waters cited viewing Fiona Brockhoff’s garden ‘Karkalla’ at Sorrento as being a defining moment for her, that it “blew her mind”, and importantly, has stood the test of time. 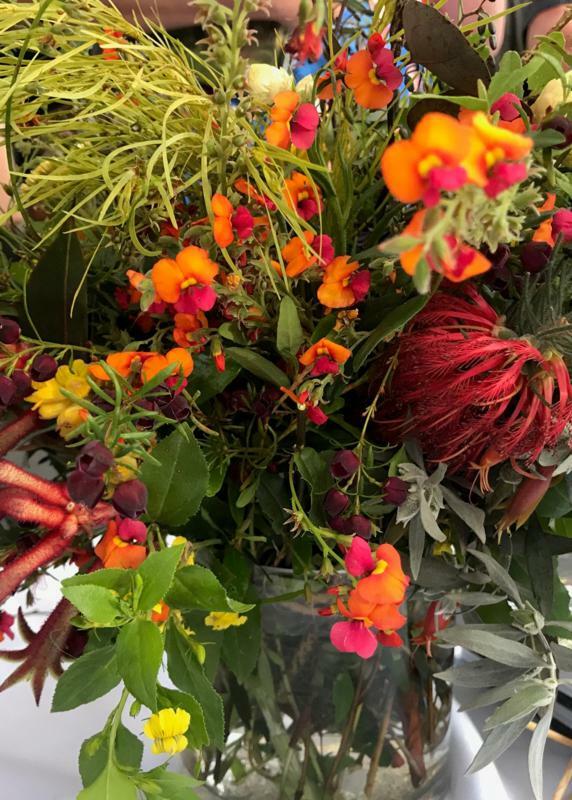 The raw beauty and resilience of Australian native plants is for her the opportunity for bolder experimentation and diversification of our plant palettes from a European sensibility. As she said “there is a great deal more dare and flair with Australian plants”. It is a rare plant book that makes you want to read it all. Often you just dip in and out. Native invites you to go on a journey of discovery, and to view and experiment with our native flora in a different light.